When Johnnie Walker discontinued its popular Green Label whisky back in 2011-2012, whisky drinkers around the world let out a collective groan. For those who ‘graduated’ from blends to drinking Single Malts almost exclusively, the Green Label is probably one of the few blends that they would be willing to drink, and for good reason. 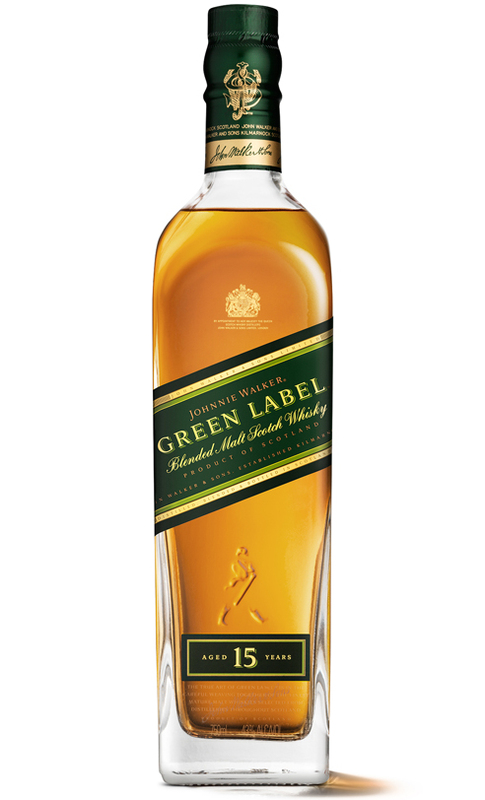 The Green Label was the only blended malt in the Johnie Walker range, and it was affordably priced. But now, by popular demand, its much-loved blended malt Scotch whisky is available once more. Originally introduced in 2004-2005, Johnnie Walker Green Label carries an age statement (15 years) and is made from malt whiskies from Diageo’s ‘classic distilleries’. It was initially dropped – with exception of Taiwan – after Johnnie Walker revised its range to introduce the Gold Label Reserve and the Platinum Label. As mentioned, the 15YO Johnnie Walker Green Label consists only of malt whiskies; no grain. A diverse palette of Speyside, Highland, Lowland and Island malts, the Green Label offers great depth and a broad flavour profile – something that a blended Scotch and blended malt have and single malts generally don’t (think Christopher Walken vs. Tom Hanks). The Green label’s unique nature is a result of carefully balancing four key signature styles from the Diageo stable: Talisker, Linkwood, Cragganmore and Caol Ila. Talisker from the Isle of Skye gives the blend power and depth of character with its wood smoke, pepper, oak and rich fruits. Linkwood brings finesse to the table with light garden fruits and flowers and cedar wood notes, while Cragganmore provides a malty heart and hints of sweet wood smoke and sandalwood. To round off, Caol Ila brings the intensity of Islay with notes of rich fruit, drying sea salt and peat smoke. For Dr Jim Beveridge, Johnnie Walker Master Blender, the challenge is to ensure that the flavours really complement each other, so as to create a complex blend that encapsulates the smoky and bold flavours of the Johnnie Walker style. “Crafting this blend is all about making the aromas more pronounced and vibrant, allowing us to shape a blend that has the depth of character which just isn’t possible from one malt whisky alone,” he adds. Available from 6th April onwards, the Johnnie Walker Green Label is priced at very reasonable $101 (75cl bottle) and available at selected retail stores and e-commerce partners.